Anthony Trucks, who turned a childhood in foster care into a professional football career and life as a family man, will bring his inspirational message to Dallas CASA’s Cherish the Children luncheon April 9 at the Omni Dallas Hotel. Hosted by Dallas CASA Children’s Council, the luncheon will raise funds for abused and neglected children served by Dallas CASA’s trained community volunteers. Trucks was removed from his home at age three and spent the next several years in five different foster homes before being adopted at age 14. Childhood for him was confusing, tumultuous and full of doubt and a lack of trust in adults. He responded by acting out until he realized he could choose a different path. A personal trainer, author, and motivational speaker, Trucks today guides people’s lives by teaching them to design and build the lives they want. He credits his final foster mother with teaching him he could be loved and not let his past define him. Dallas CASA will present the Caroline Rose Hunt Cherish the Children Award to Judge Cheryl Lee Shannon in recognition of her commitment to children of our community. Judge Shannon has served as presiding judge of the 305th District Court in Dallas County since 1995, hearing matters on juvenile delinquency, child abuse and neglect and issues relating to rebuilding families and adoptions. Judge Shannon was appointed by the Supreme Court of Texas to serve on the Judicial Commission for Youth, Children, and Families. 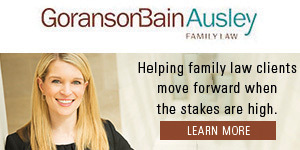 She formerly served as a board member of Texas CASA, the Supreme Court Task Force on Foster Care and on numerous community committees relating to youth issues. The award is named in honor of Hunt, a longtime supporter of Dallas CASA and a lifetime member of Dallas CASA Children’s Council. Luncheon co-chairs are Erin Jesberger and Aubrey Labanowski, members of Dallas CASA Children’s Council who also serve as trained child advocates. Luncheon guests will have the opportunity to purchase one-of-a-kind, custom-designed children’s chairs and furniture created and donated by local artists and designers. Proceeds from the event will allow Dallas CASA to recruit, train and supervise more volunteers for children living in protective care because it isn’t safe at home. To purchase tickets or tables for the Cherish the Children luncheon, please click here.